Wow, I never thought I would be so excited for a mobile phone game, but I am! Kavinsky, best known to only a few people as the guy who provided a few awesome tracks to that Ryan Gosling movie, Drive, has his very own game that features his very own soundtrack. The undead, Testarossa driving, zombie-crime fighter is unleashing all his fury on evil doers this July for mobile devices. I guess, though, it's important to explain to people not in the know why this is such a cool thing. Well, first of all, French music artist Vincent Belorgey, also known as Kavinsky, hit it big with his electro-synth soundtracks. The guy was so influential in the way he brought the 1980s-style synth-pop music genre back to life and into the conscious of listeners the world around that even Rockstar had this guy join on board as the official DJ for the Night Ride FM channel in the upcoming Grand Theft Auto V.
Plain and simple: this guy embodies all the retro awesomeness that made the thrills, the horror, the action, the neon colors and the general cheesiness of excessive aesthetic over-indulgence from the 1980s spring to life. The game itself is a 3D beat 'em up, racing title that combines elements from games like Fighting Force, Streets of Rage and Outrun. The mobile title is a bit of a game-form of Kavinsky's own short-film called Dead Cruiser, which you can check out at the bottom of the article. Players will fight off the evil of the night, outrun cops who just don't have a clue, and get engulfed in the experience of eating up the road in the Ferrari Testarossa at more than 100 miles per hour. If you're the kind of gamer who really got a kick out of Far Cry 3: Blood Dragon -- which arguably has one of the very best video game soundtracks ever -- then you'll probably really dig Kavinsky'snew game. 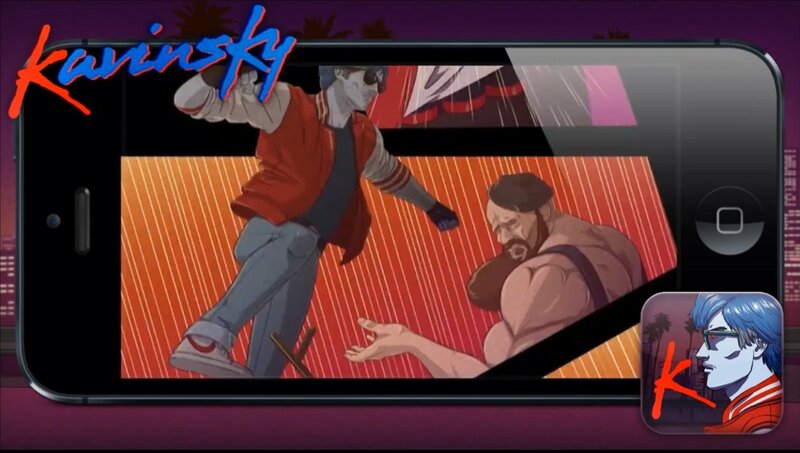 Crap, I never thought I would be this excited about a mobile game but I must say I really love Kavinsky's stuff and the 80s synth sub-genre is such a cool musical element that's kind of running through the gates of success as an underground, niche movement right now. The game is going to be available starting July 8th in two weeks for mobile devices and phones. And quite naturally, the game will sport music from Kavinsky's Outrun album. Could you really ask for anything more? Keep track of the game or find out more about the title by paying a visit to the official website.